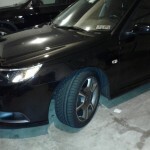 My Saab Turbo-X is back home after some time at the shop for routine maintenance, some work on the eLSD, and a new pair of shoes to replace my worn out Continental DW UHP tires. 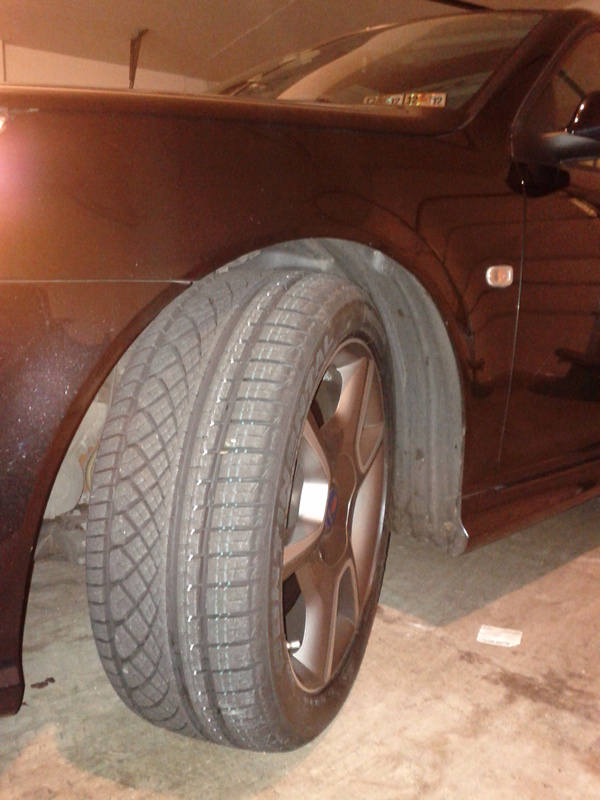 I kinda wore them into the ground to the point where I failed my annual safety inspection – yeah I do kinda drive a bit nuts and er well…probably pushed the tires hard enough to slip a belt or two out of position in the tire. Well the DW tires were slick, looked great, and performed well but I only got about 17K on them and at 1200 smackers I think that’s not so great. This time around I’m going for a tire with an actual mileage guarantee (the DW’s have no mileage guarantee like most UHP tires). 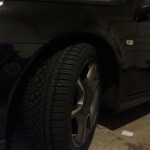 I selected the Conti Extreme Contact DWS tire, a sister to the DW, that is a “HP” all season tire. I guess I will see some reduced performance during dry conditions, but I’ll get snow coverage and I get a 50K mileage warranty. Done deal for me at this point. 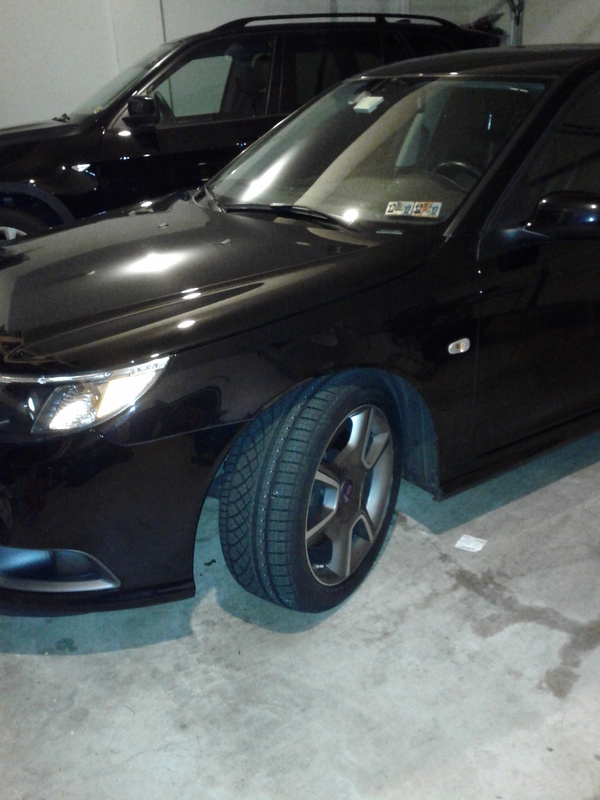 I got to drive around a brand new 9-3 convertible while my car was getting pampered – that’s a heck of a nice car! Black vert – beige interior – amazing headroom in there…cavernous. Here’s some pics of Saabie and her sis’ in the background. 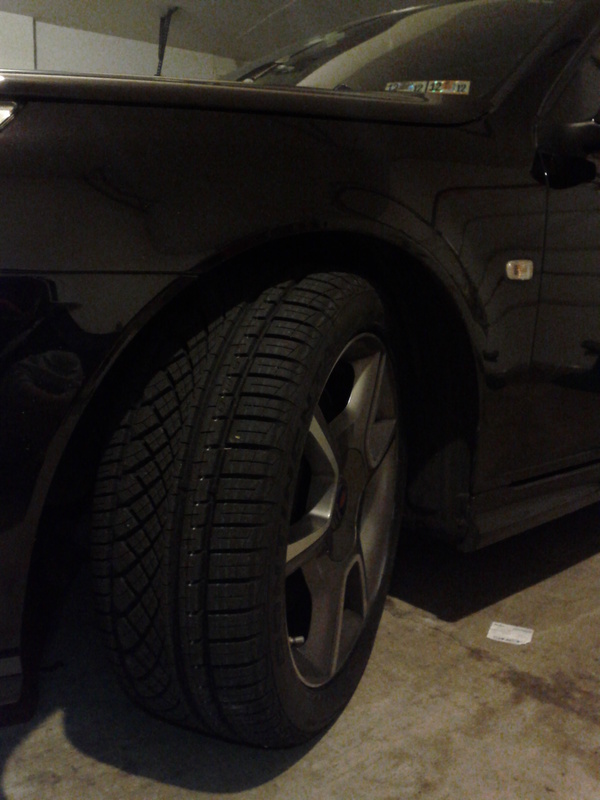 A couple of the treads…its too darn cold outside to treat the tires. I have a can of “tirenuba” wax that I will try out this weekend. 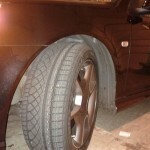 I don’t see any social sharing button…back to the post…I’ll post of new pics of the tires before and after treating them with Tiromania. There ya go – the like button is working now. yeah – something is not working right. I’m going to install a different social tool and see if it works. The one in Jetpack looks like the way to go. Ok I’ll wait a bit – how long is that going to take? Ok – give it a shot.